LG has announced the new LG V40 ThinQ for the Indian market where it is currently available at Rs. 49990 (around $702). The device launched back in October last year with triple rear cameras and dual front-facing cameras. The device comes with a 6.4-inch FullVision OLED display and comes with MIL-STD 810G military-grade durability along with IP68 rating for dust and water resistance. It comes with New Moroccan Blue and New Platinum Gray colour options and is available via Amazon India in the country. The device comes with a couple of launches offers that includes free screen replacement worth Rs. 16,750 and no cost EMI and Rs. 5000 extra with the exchange. 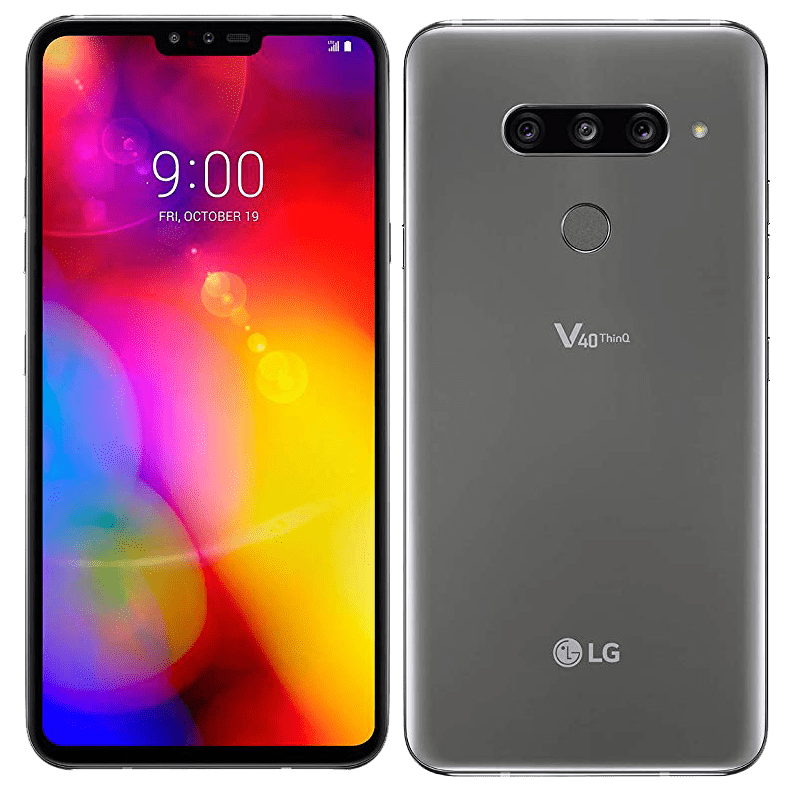 The LG V40 ThinQ features a 6.4-inch 19.5:9 FullVision OLED display and 3120 x 1440 pixels resolution and is powered by an octa-core Qualcomm Snapdragon 845 Mobile Platform with Adreno 630 GPU. It comes with 6GB of LPDDR4x RAM with 64GB / 128GB (UFS 2.1) inbuilt storage options and is expandable up to 2TB with the help of a microSD card. It runs on the Android 8.1 (Oreo) with LG UX and is upgradable to Android 9.0 (Pie) whenever available. The rear camera comes with Dual PDAF (Phase Detection Auto Focus) for automatic focusing that is 50% faster, advanced HDR feature analyzes and determines the right exposure settings to create perfectly lit shots, AI Auto White Balance (AI AWB), AI Shutter selects the right shutter speed, especially useful when trying to capture fast-moving subjects, Cine Shot, 3D Light Effect, Makeup Pro, Custom Backdrop, My Avatar and AR Emoji. It features a triple rear camera with a 12-megapixel rear camera with f/1.5 aperture, 1.4µm pixel size, 78° lens, a 16-megapixel super wide camera with f/1.9 aperture, 1.0µm pixel size, 107° lens and a 12-megapixel telephoto camera with f/2.4 aperture, 1.0µm pixel size, 45° lens, Dual LED flash. It also comes with a dual rear camera with an 8-megapixel camera, f/1.9 aperture, 1.12μm pixel size, 80° lens along with a secondary 5-megapixel camera with f/2.2 aperture, 1.12μm pixel size, 90° wide-angle lens. It comes with a 3,300mAh battery with Qualcomm Quick Charge 3.0 (Quick Charge 4 Compatible) along with wireless charging support as well. It comes with connectivity options such as 4G VoLTE, Wi-Fi 802.11 ac (2.4GHz and 5GHz), Bluetooth 5 LE, GPS, NFC, USB Type-C 2.0 (3.1 compatible), 3.5mm audio jack and also comes with audio enhancement features such as 32-bit Advanced Hi-Fi Quad DAC, DTS: X 3D Surround Sound and Boombox Speaker. It comes with a fingerprint sensor on the rear side. It comes with water and dust resistant with IP68 ratings and is also MIL-STD 810G certified. It measures 158.7 x 75.8 x 7.7mm and weighs 169 grams.